Turkey is day by day striving to be a more significant place in both the global political and economic landscape. 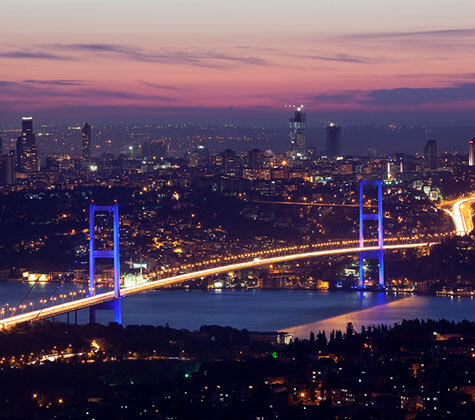 One of the prime architects of Turkey’s economic success was undoubtedly the real estate market in the country, which has been welcoming a great deal of investment for years. Today Turkey, which is the 16th biggest economy in the world, harbors great aspirations for the next decade such as becoming one of the world’s top 10 economies and making Istanbul a finance capital. Currently, you don’t have to be a citizen to purchase or own property in Turkey. Just be sure to consult a CENTURY 21® Broker for professional real estate advice. You will also need a lawyer to carry out a legal search on the title before purchase and registration of the title documents after purchase; and a financial advisor or tax consultant for financial and tax advice.